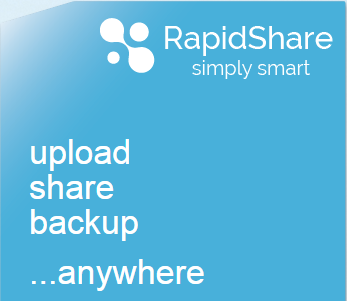 RapidShare, one of the first file hosting services on the Internet, is shutting down next month. After March 31, all of its user accounts and data will be deleted. The Switzerland-based service went online in 2002 and saw hundreds of millions of monthly visitors during its glory days a few years ago. Chances are, most of them didn’t come to download the latest Creative Commons-licenced folk album, but unlike Megaupload, RapidShare managed to stay on the right side of the law. The service saw a surge of new users after the Megaupload shutdown in early 2012 and even had to limit download speeds to cope with demand for a while. In the wake of the Megaupload raid, though, RapidShare tried to rebrand itself as a cloud storage service and stepped up its anti-piracy policies. That rebrand didn’t go well and the company fired 75 percent of its employees in early 2014 — just around the time it also shut down its free service. With prices that started at 50 euros per month and an extremely competitive field, the service probably had a hard time convincing users (it never went after the enterprise market) to pay for a service that used to be free.